The big names of the Manhattan Project, like Robert J. Oppenheimer, are well-known, but building atomic bombs took far more than a few solitary men of science in the desert. It spanned several sites and required the work of thousands, most of whom had no idea just how deadly the weapon would be. 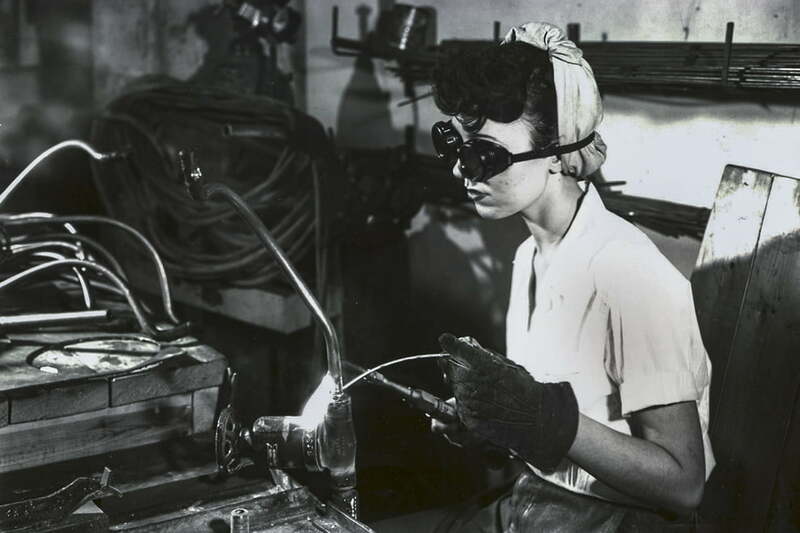 This is the second half of a two-part piece on the women of the Manhattan Project. You can find part one here. On the other side of the country, 1,500 town residents and the Wanapum tribe were forced off their land to make way for the Hanford, Washington plant. Construction started in April 1943 and was as rushed as Oak Ridge. Following the curves of the Columbia River, the site is located in a desert climate, with an average temperature in July of 94 degrees Fahrenheit. When physicists Jane and David Hall arrived at their dormitory, they were welcomed by bed sheets that were hot to the touch. Despite the fact that both husband and wife had their doctorates, David later complained that they were stuck doing grunt work around the site. Things improved for Jane when she moved to the Health Physics division, interpreting results from employees’ dosimetry devices. Workers wore badges containing black-and-white photographic film in a protective container. If he or she was exposed to radiation, an image of the case would show up when the film was developed. 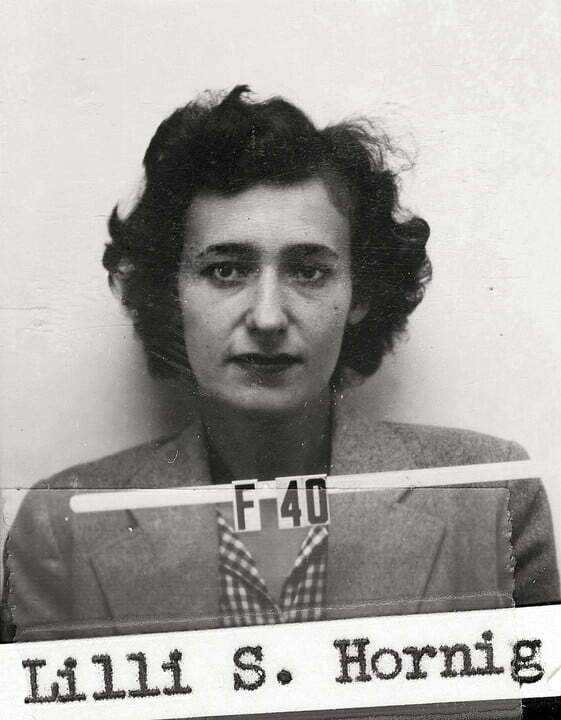 To lab worker Yvette Berry, the dosimeters on her heavy badge looked like fountain pens. She and her coworkers went to great lengths to try and minimize contamination. In addition to the overalls and shoe covers she wore, she’d work with plutonium samples under hood and use tongs and cotton swabs to clean up spills. Around her, other lab workers would scrub away at floors and surfaces that appeared perfectly clean. “We all washed our hands so many times a day I thought I was Lady Macbeth,” Berry said later. Sometimes she’d have to submerge her hands in a solution that was suppose to remove any contamination but which also took a layer of skin with it. Eventually, the Hanford site would be made up of over 500 structures and 132,000 workers. The idea was to shift much of Chicago’s lab-scale work on plutonium and uranium into production mode at the other sites. The Halls had originally started in Chicago, as had another couple: Leona Woods and John Marshall. While still working at the Met Lab, Woods had hidden her pregnancy so she could keep working right up to her due date.“My work clothes — overalls and a blue denim jacket — concealed the bulge,” she wrote in her memoir. Instruments like slide rules and tape measures created other mysterious lumps. After the birth of her son Peter, Woods joined Marshall at Hanford. Dry, dusty Hanford was to be the site of the world’s only full-scale plutonium production reactor. The problem was, it seemed to require more care and attention than newborn Peter; David Hall and Woods would both later refer to themselves as babysitting the reactor. 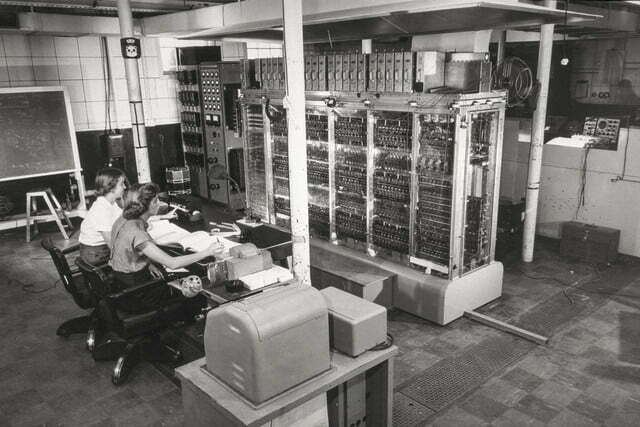 In September 1944, they were ready to get it up and running. Once again, Woods found herself with Enrico Fermi, waiting for a reactor to go critical. It was after midnight, and no one knew quite how to fix it. Chances are, Chien-Shiung Wu was probably awake on the East Coast when the Hanford reactor quit. While studying for her doctorate at the University of California, Wu regularly worked until 3:00 or 4:00 in the morning. The school, concerned for her safety walking home so late, arranged for Robert R. Wilson to drive her home. 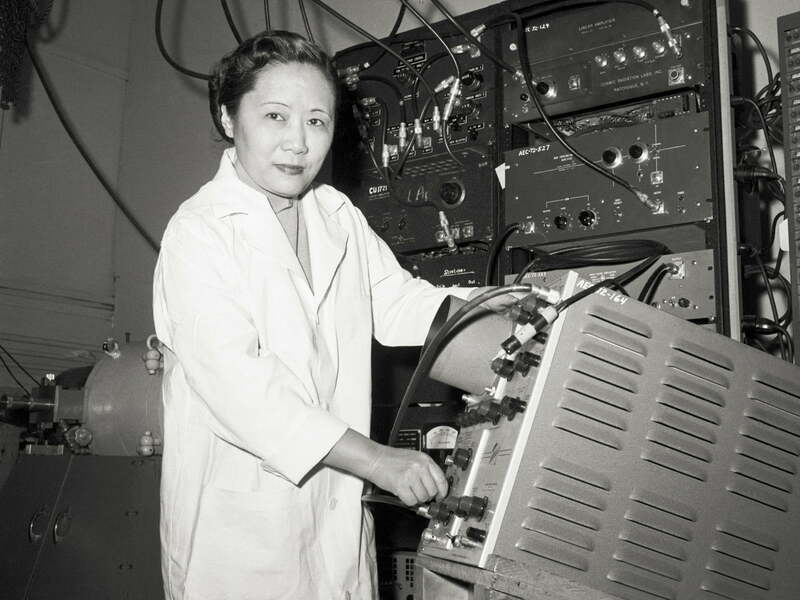 After receiving her degree in 1940, she stayed on as a postdoc student in Ernest Lawrence’s lab, eventually marrying fellow physicist Luke Chia-Liu Yuan and moving east. She’d become Princeton’s first female instructor when the Division of War Research at Columbia asked to see her. After being quizzed by a couple of physicists who were keeping her reason for being there close to the vest, Wu told them, “I’m sorry, but if you wanted me not to know what you’re doing, you should have cleaned the blackboards.” It was enough to get her hired on the Manhattan Project. Emilio Segrè once described Wu as having determination and drive reminiscent of Marie Curie, “but she is more worldly, elegant, and witty.” When Enrico Fermi told him about the Hanford reactor problem, Segrè said, “Ask Miss Wu.” John Wheeler, a theoretical physicist, thought fission might be producing xenon-135, a neutron-absorbing element that would dampen the reaction. 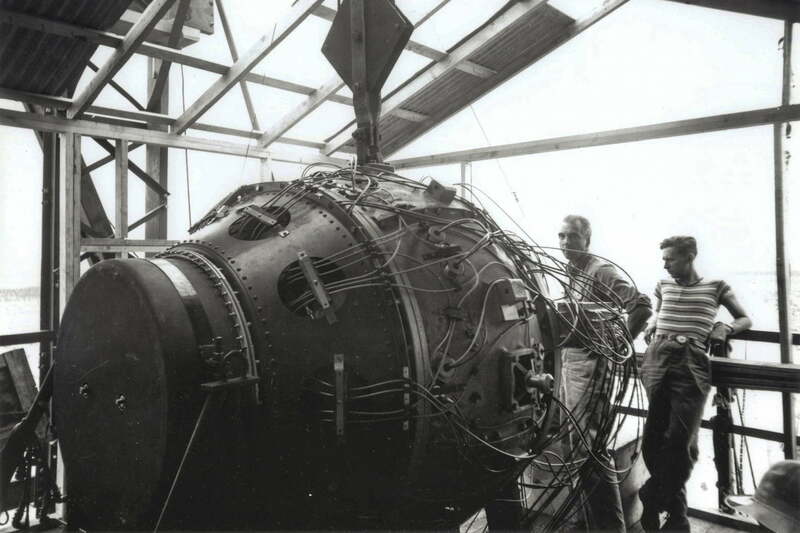 Wu had an unpublished paper on xenon-135 and handed over a draft to help fix the problem. Hanford had another issue that needed some off-site assistance. 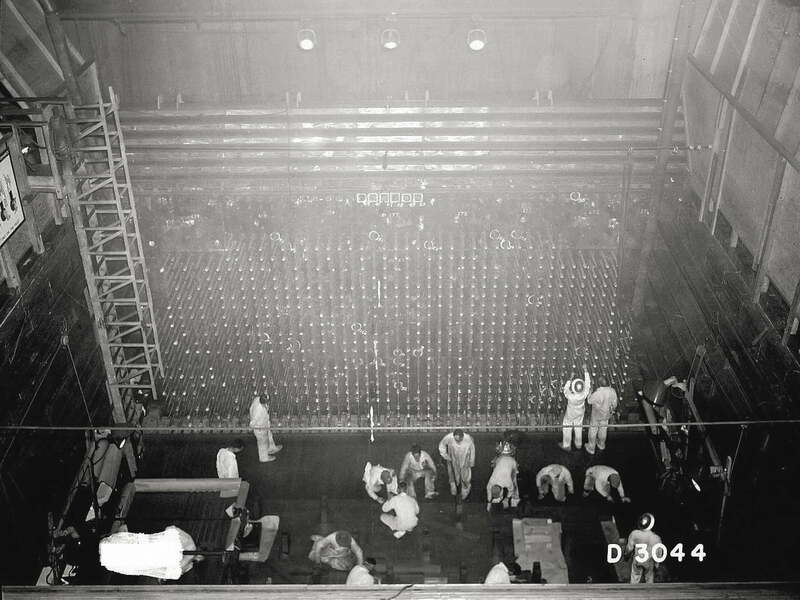 The reactor required uranium slugs sealed in aluminum cans that were fed into tubes that were then flooded with water. Both the uranium and the aluminum corroded. Up in Chicago was a Russian-born, French-educated physical chemist who happened to be a metallurgist and corrosion expert. Nathalie Goldowski (who sometimes went by Natasha) had a frenetic energy and once plowed into Enrico Fermi while zipping through a Met Lab building’s halls on roller skates. She created a coating to help stop the slugs and metal from breaking down. Floy Agnes Lee chatted with her patient as she drew his blood. As a hematologist technician, it was her job to examine the sample for signs of changes from radiation exposure. While she didn’t know the name of the short gentleman with the Italian accent and funny hat — for secrecy, he went by a number — the two often played tennis together. She always won. 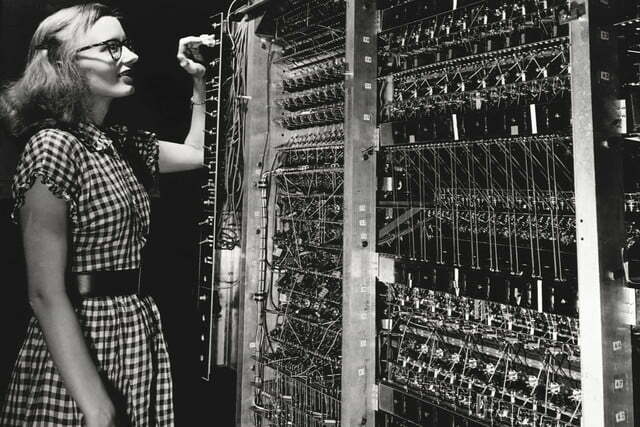 Later, when she found out about the bomb and that her tennis competitor was Enrico Fermi, she tried to let him win. It seemed like everything was secret at the Los Alamos National Laboratory in New Mexico. The site, where much of the bomb design took place, was located up a narrow road about 100 miles from the Sangre de Cristo Mountains. Locals wondered what could possibly be going on at the former Los Alamos Ranch School. Could it really be an enclave for pregnant members of the Women’s Army Corps? “Santa Fe loved that story and many believed it,” Lee later said. Project officials were willing to let just about any rumor run rampant, as long as it wasn’t anywhere near the truth. 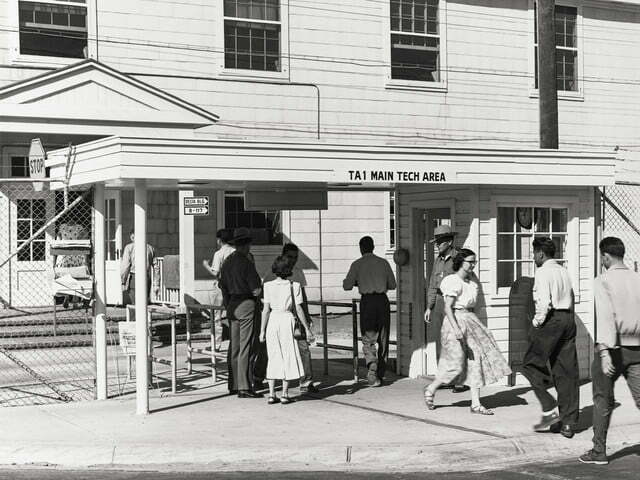 Los Alamos was churning out babies, though. The migration of scientists brought an influx of young talent. David Hall later complained no true science was happening at Hanford: “Los Alamos was considered to be the fountainhead of the pure science and the good ideas.” Its staff included future Nobel Prize winners Luis Alvarez, Hans Bethe, Owen Chamberlain, Richard Feynman, Edwin McMillan, and Emilio Segrè. The operation required a sizable workforce, and with scientists, technicians, military personnel, and others, the population reached about 8,200 by the end of 1945. 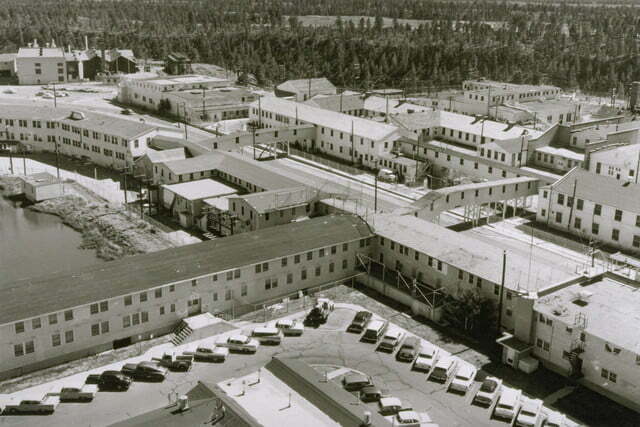 The average age of the project was 27, and there were 80 babies delivered during the first year of the Los Alamos project. It was like a mini pre-echo of the baby boom that would follow the war. 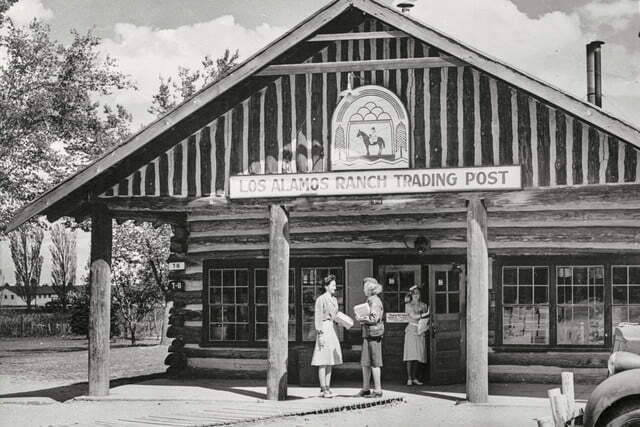 According to their birth certificates, though, the babies weren’t actually born at Los Alamos. For secrecy, they bore the address where all the project’s mail was sent: Box 1663, Sandoval County Rural. “My God, was that box ever full of babies,” Elsie McMillan later joked. Similarly, driver’s licenses had numbers instead of names. Even on site, the top-level scientists had code names. When Niels Bohr arrived, he became Nicholas Baker (or “Uncle Nick” to Laura Fermi, a.k.a., Mrs. Farmer). “I remember General Groves getting very annoyed at the fact that there were so many women having babies in the hospital there,” Lilli Hornig recalled later. Because of her work on plutonium, some of the young chemist’s supervisors were worried about the radioactivity damaging her fertility. “I tried delicately to point out that they might be more susceptible than I was,” she said. “That didn’t go over well.” Instead, they moved her to the explosives team — “which was a little crazy,” he husband, Donald Hornig said. Concealing what was going on in the Tech Area — the location with all the labs that required a special badge to access — wore on those on both sides of the fence. “The wives, displaced from their usual surroundings, added to the problems,” wrote Emilio Segrè. ‘Without the absorbing technical work of the husbands, and unavoidably in the dark about what was going on in the laboratories, they often became depressed, quarrelsome, and gossipy.” Their complaints — soot- or sand-covered homes, trying to cook a meal bought with food stamps on a wood-burning stove, living with rationed water and electricity — he seemed to imply, were nothing compared those with the fate of the world on their shoulders. Once, a pregnant Phyllis Fisher joked to her husband, physicist Leon Fisher, about naming their baby “Uranium Fisher.” His seemingly outsized, incense rebuke made her feel censored “in my own house,” she said. For Maria Goeppert Mayer, who would go on to win the Nobel Prize in physics in 1963, the shoe was on the other foot. She didn’t tell her husband, chemist Joseph Mayer, about her work for the Manhattan Project, although he was doing weapons research as well. Keeping the secret for four years was harder than all the prejudice she faced as a woman in science, she later said. When the Los Alamos team was finally ready for Trinity, the bomb test, in July 1945, Elizabeth Graves actually was concerned about radiation. She was pregnant at the time. Normally, she wouldn’t let that phase her. (Colleagues remember her finishing up experiments as she timed her contractions.) But Los Alamos scientist expected the test bomb’s explosion to be equivalent to at least 700 tons of TNT. (It was actually 20,000 tons, four times their upper-limit estimate.) But Graves and her husband, Alvin, would still participate. The two physicists packed a short-wave radio, seismograph, and Geiger counter and headed for a cabin about 45 miles from the test site. 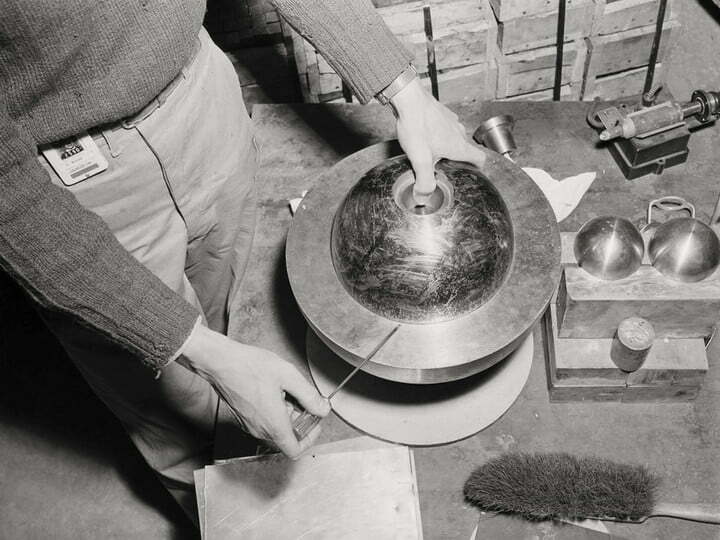 Using her rare experience in fast-neutron scattering, Graves had experimented with different materials to find which would work best as a reflector surrounding the bomb’s core, containing the neutrons and promoting fission. Now all she and Alvin could do was wait and watch their instruments. Elsie McMillan was also waiting. She was one of few wives who knew why her husband had left for the Alamogordo Bombing and Gunnery Range, outside the Jornada Del Muerto desert. A third party — McMillan never revealed whom — had told her about the bomb. Before he left, Edwin McMillan told her, “In spite of calculations, we are going into the unknown.” Then he said to look for a flash around 5:00 a.m. Instead of going to sleep, Elsie McMillan and Lois Bradbury, another wife in the know, stayed up in Los Alamos, drinking coffee and worrying. Lilli Hornig was also separated from her husband that night. While he was minding the bomb overnight, she and some colleagues camped at the Sandia Mountains, over 100 miles away. At 5:30 a.m. on July 16, 1945, the world’s first nuclear device exploded. First came the heat, like a hot, dry breeze. Then there were the colors, “vivid colors like violet, purple, orange, yellow, red,” Lilli Hornig later remembered. Finally, the sound caught up. “It was very sharp and rumbled and all the mountains were rumbling with it,” said graduate student Joan Hinton. The resulting cloud almost looks looked it was moving in slow motion as it billowed up, suctioning up sand toward the undulating mass. Elsie McMillan saw the flash, as did Texas residents over 250 miles away in Amarillo. As the cloud of radiation drifted toward Elizabeth and Alvin Graves, the Geiger counter started reacted. By 4:20 p.m., its needle was straining at the maximum reading. To explain the strange sights and sounds, project officials put out a statement saying an ammunition dump had blown up, but there were no casualties. Within a month, the United States would drop two bombs on Hiroshima and Nagasaki, killing 150,000 instantly, with hundreds of thousands more dying from radiation and other effects. Japan surrendered on August 15, 1945. 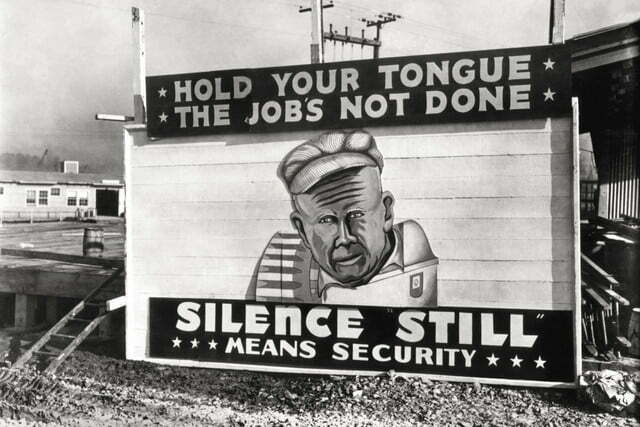 The Manhattan Project wasn’t just making two bombs. Officials weren’t sure exactly what would happen after the weapons strike, what it would take to get Japan to surrender. Even after August 15, the scientists didn’t just pack up and go home. About a week later, Harry Daghlian was working late in Tech Alley when he dropped a tungsten carbide brick onto it. The bricks acted as a neutron reflector, lowering the amount of fissile material needed to start a chain reaction. The core was already critical before Daghlian dropped the brick. 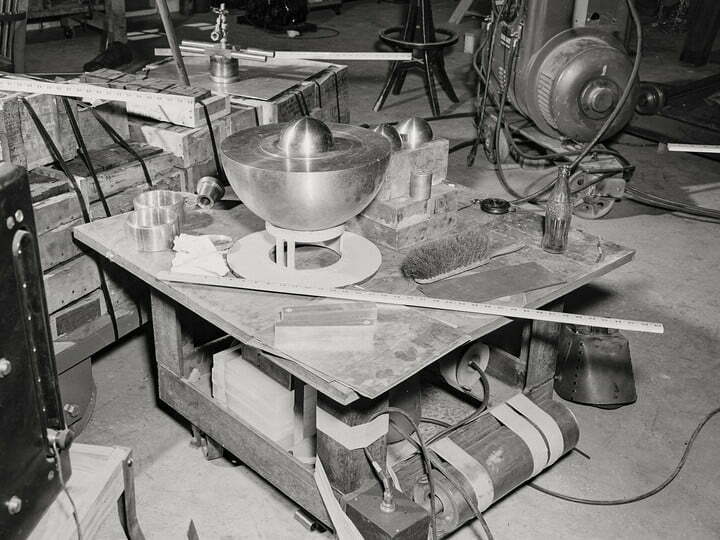 The extra reflector further trapped the neutrons, causing the plutonium to go supercritical. As Hinton drove, Daghlian complained that his hand felt funny. Twenty-five days after the accident, Daghlian died as a result of the irradiation, his hand badly burned and swollen. 1. Physicist Louis Slotin (left) lost his life to the Manhattan Project when his handling of a plutonium core went awry. 2. 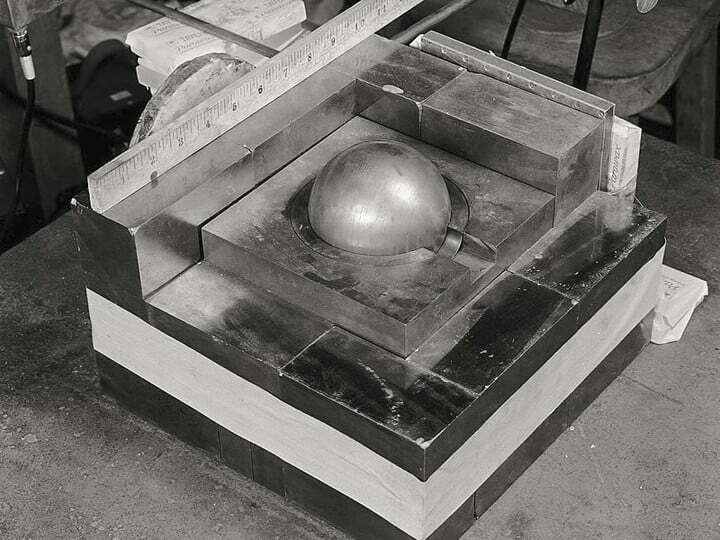 In recreation photos of the Slotin incident, a beryllium tamper covers a plutonium core. Only a screwdriver kept it from touching down and sending the core critical. 3. When the screwdriver slipped, the core briefly went critical, emitting a flash of blue light. 4. 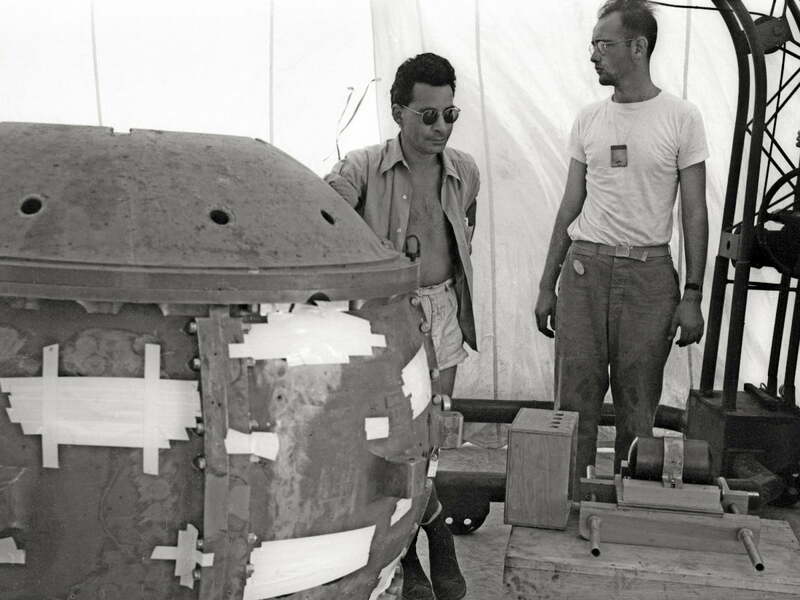 Slotin flipped the dome off the core to stop the reaction, but died 25 days later from the radiation exposure he sustained during the incident. Joan Hinton had grown up at the Putney School, the progressive school/farm her mother founded. A champion skier, she qualified for the Olympics in 1940, the year they were cancelled. She’d been a graduate student in physics at the University of Wisconsin when she was recruited for the Manhattan Project in 1944. After Harry Daghlian’s death, Hinton became vocal in her opposition to nuclear weapons. The Trinity test liquefied the desert sand where it detonated, which cooled into green glass, trinitite. Hinton sent pieces to mayors, along with a message: “Do you want this to happen to your city?” In 1948, she moved to China, where she became a life-long Maoist. “I was 100 percent behind everything that happened in the Cultural Revolution,” she said in 2008, “long after most Chinese people had abandoned Maoist beliefs,” according to The Washington Post. She generated headlines about being an atomic spy, which she called “a silly fuss.” Before her death in 2010, she was living on a farm in China, tending to her dairy cows. Eventually, 70 people would sign Szilard’s document, which stated, in part, that “there is almost no limit to the destructive power which will become available in the course of their future development” and “a nation which sets the precedent of using these newly liberated forces of nature for purposes of destruction may have to bear the responsibility of opening the door to an era of devastation on an unimaginable scale.” Ten of the signers were women. Evidently, the petition never reached President Truman. 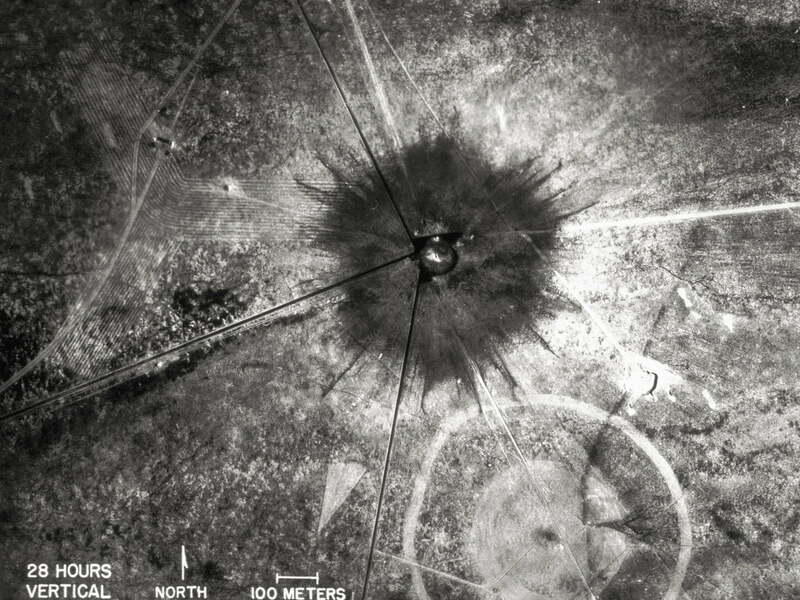 Some of the Los Alamos scientists, including Lilli Hornig, felt that the U.S. should have demonstrated the bomb for Japan, giving them a chance to witness its devastation before deploying it against them. Katharine Way was among them. With a talent for not only physics but organization and collaboration, she quickly helped put together and co-edit a book, One World or None: A Report to the Public on the Full Meaning of the Atomic Bomb, which was published in 1946. It included essays expressing anxiety over the nuclear age from some of the Manhattan Project’s most prominent scientists: Niels Bohr, Arthur H. Compton, J. Robert Oppenheimer, Hans Bethe, Harold Urey, Eugene Wigner, and Leo Szilard. Some still saw the potential of nuclear reactors for more peaceful purposes. 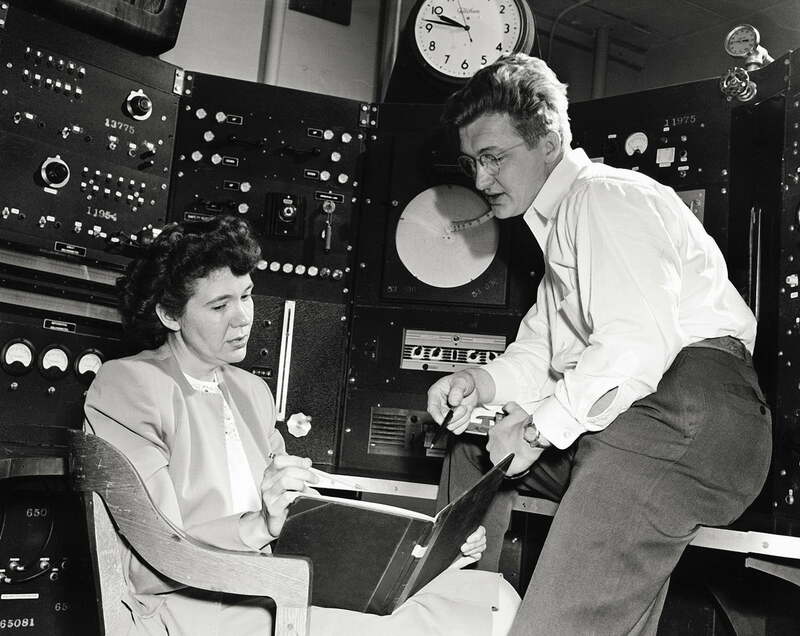 Jane Hall, who’d started out babysitting one of Hanford’s reactors, was the first woman to be appointed to the General Advisory Committee of the Atomic Energy Commission. “It hardly needs to be stressed that there is something askew with a society in which vast numbers of citizens can be organized to create a horror like The Bomb without even knowing they are doing it,” critic David MacDonald wrote of the Manhattan Project. Elsie McMillan said of her time at Los Alamos, “I’ve never drunk so much as there, because you had to let off steam, you had to let off this feeling eating your soul: ‘Oh God, are we doing right?’” But she was in the know. The calutron operators tuned knobs on their instruments. The techs transformed a mystery substance from one of lab equipment to another. Research assistants studied blood or tissue samples. The big picture was impossible to grasp. The idea that women in science didn’t have to be just good, they had to be two-Nobel-Prize-winning good is what Julie Des Jardins called “The Madame Curie Complex.” The Manhattan Project changed the career trajectories of many of the women involved. During the war, they found many doors open that had been previously shut. 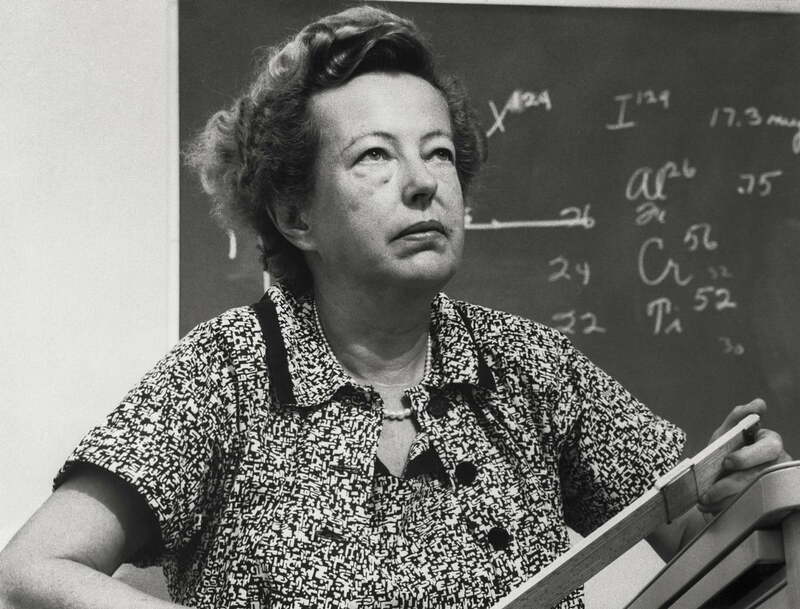 Anti-nepotism rules often meant wives couldn’t work at the same institutions as their husbands, so physicist Maria Goeppert Mayer spent the majority of her career as an unpaid “volunteer assistant” before winning the Nobel Prize. It was only because director J. Robert Oppenheimer did away with such rules that Elizabeth Graves and Lilli Hornig were allowed to work in Los Alamos along with their husbands. Even getting a doctorate in the first place was harder for women. 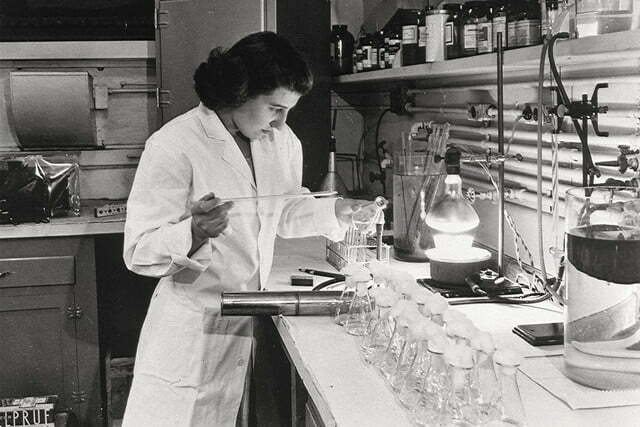 “Any girl who majors in chemistry today is really interested in the science and wants it in spite of the odds against her,” former Met Lab chemist Ethaline Cortelyou wrote in 1955. “She has heard the complaint that a woman chemist must be twice as good as a man to get 80 percent of his salary.” There were many institutions that wouldn’t grant certain degrees to women or admit them as undergrads. Rose Mooney-Slater applied, and was admitted to, a Caltech graduate program under her initials R. C. L. Mooney. When the school learned she was a woman, they rescinded the offer. For women of color, it was even more difficult. It wasn’t until 1972 that Willie Hobbs Moore became the first African-American woman to earn a doctorate in physics. 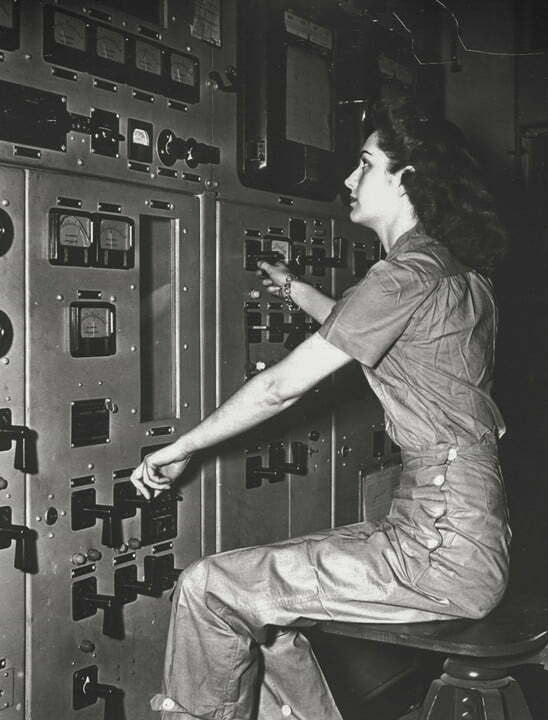 Floy Agnes Lee was one of the few Native Americans working in a technical role at Los Alamos. She went on to earn her doctorate in zoology from the University of Chicago and studied the effects of radiology on chromosomes. Many of those who had struggled through their careers tried to find ways to help the women who came after them. Lilli Hornig, for example, founded HERS (Higher Education Resource Services), a non-profit aimed at helping women achieve leadership roles in colleges and universities. After the secret of the Manhattan Project was out, there was some marveling in the press at how the women scientists had done it, both built bombs and baked cakes. “Education, career, and the latter-day duties of a wife and mother have cast no hue of sobriety on the personality of this young woman scientist,” a Los Alamos Times reporter wrote of Jane Hall in 1947. “Thirty-one, she retains a youthful vivacity that shows itself in a frequent carefree smile and the impression she gives of abundant energy.” In actuality, the women had an entire support system backing them. 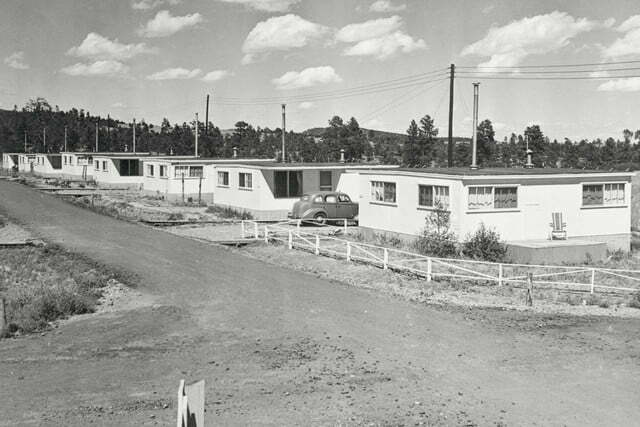 Sites like Los Alamos offered subsidized rent, free health care, maids, and child care. When asked how a married woman could excel in science, Chien-Shiung Wu answered she needed three things: a nice husband, a short commute, and someone trustworthy to watch the kids. 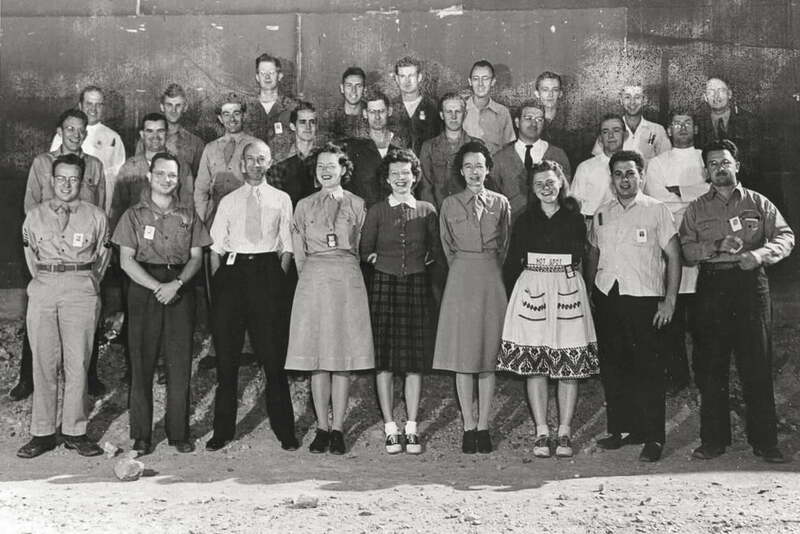 This is the second half of a two-part piece on the women of the Manhattan Project. You can find part one here.